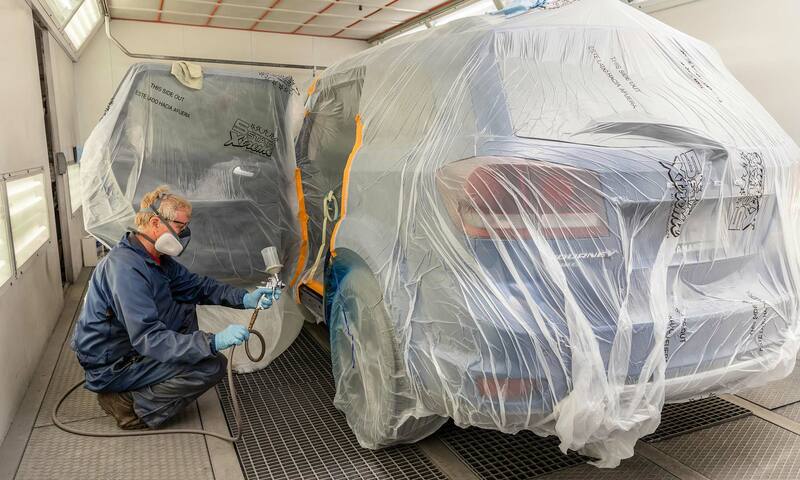 Get Your Car Back on the Road Fast with Panorama's Quality Collision Repair and Body Shop! An accident can be a very stressful event. When it comes to getting your vehicle back on the road in tip-top shape, it can sometimes be difficult to know where to turn. At Panorama Collision, we can help take the stress out of your car repairs. 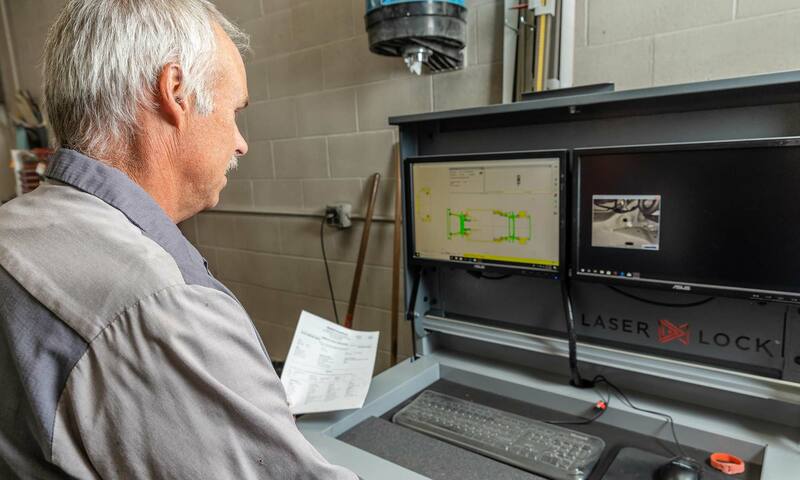 With our state-of-the-art diagnostics, our highly-trained technicians, and years of experience with all makes and models of cars, we will help to make the whole process as painless as possible. “You’ve repaired my car four five times in the past year and a half. 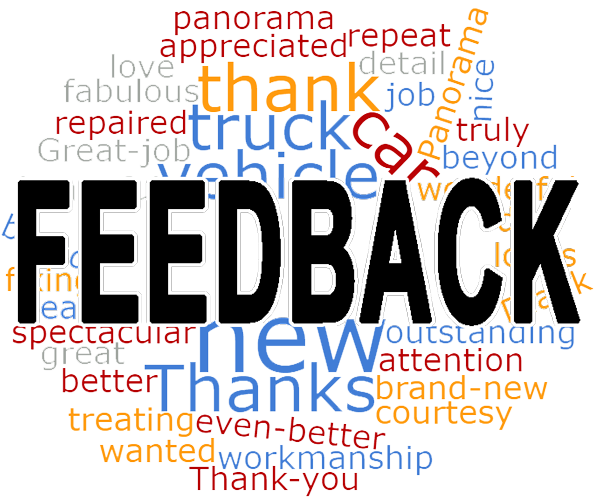 I want to thank you for the fabulous work.” - R.H.
“It feels like a brand new car! You went above and beyond and it is very much appreciated.” - M.S. “Thank you for the great workmanship. Your courtesy is outstanding. I love my “new” truck.” - R.S. “Thanks for treating my car as if it were one of your own. It has never looked so clean!” - K.S. “I wanted to thank you for the beautiful job you did on my car and to let you how nice it was to deal with all of you at Panorama…” - J.B.
“I can truly say that when I walked to my car it looked even better than the day I picked up the vehicle brand new!” - S.L. “Thank you so much for the wonderful work you did fixing my car. I was so nervous that my car wouldn’t be the same. But when I got it back, it was better than new. Thanks again, Great job!” - L.V. © 2018 Panorama Collision. All Rights Reserved. We accept most insurances.